Are you interested in being friendly with whisk(e)y, without any commitment? Girl, we understand! Or maybe you’re feeling like a flirt and want to start a casual relationship with bourbon. We can relate to that, too! Maybe you consider yourself your own boss and want to proudly show off your new found love. Or is there a possibility you are ready to fully commit? Well we think that’s a pretty badass decision and have a membership that will give you all the knowledge that you crave. No matter where you are in life, we love your passions, differences and opinions and can guarantee a membership package that will fit your every need! We even have something for Whisky Dudes! Become a Whisky Chicks follower. Free Forever. Upgrade anytime. I have to admit I was a bit nervous going to an event alone without knowing anyone. However, as soon as I walked in, my butterflies immediately left because I felt so welcomed. My usual adult beverage of choice is white wine, so I had never had bourbon before that night. This was the perfect first experience with bourbon. Not only did I learn interesting facts regarding bourbon, I also met a diverse group of dynamic women! We found this group of diverse women to be fun and welcoming. Two things you don’t find every day, which keeps me coming back. My mother, who is 94 years old, loves coming as much as I do. Age has not slowed her down much, she is right there sitting alongside the 20 somethings experiencing and learning new things. I love being able to share these special moments with her. My daughters and I truly enjoyed the evening and can’t wait to sign up for another event! Everyone was so nice and friendly, the atmosphere was fun, food and drinks amazing. Just a great night out and glad we discovered the group. I met so many cool women, and have some lasting friendships from that one night out. The Whisky Chicks have created a community of women who can support and inspire one another in an ever challenging world. More than anything, I believe they help to empower others. 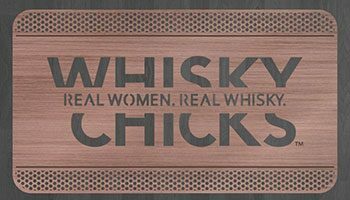 Ever wanted to be a card carrying member of the Whisky Chicks? Well now is your chance. Sign up for one of our paid membership levels and receive your official copper Whisky Chicks Membership card good for Bourbon lover discounts and special offers. Stay tuned for a list of participating distilleries and retailers! 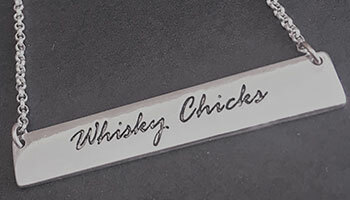 Bourbon Bosses and Badasses can show off their Whisky Chicks pride with this exclusive one of a kind necklace. You can choose your attitude for the evening with one side declaring you are a proud Whisky Chicks or the other side letting everyone know you are a true Bourbon Badass. Each year we will introduce a new piece to the collection. Jewelry not your thing? Whisky Dudes have the option to receive a Bourbon Badass flask instead of the necklace. With this specially designed tasting journal we take the grandeur out of the tasting process, so that you can find what you like and figure out how you like it. Keep track of all of your whisk(e)y adventures in one place so you can recall which ones were your favorites so the next time your are out you can flex your bourbon knowledge and confidence. 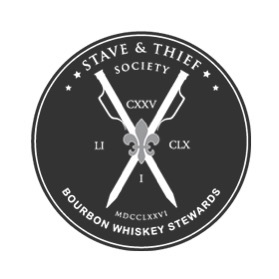 Knowledge breeds confidence and what better way to gain confidence than by becoming a Stave & Thief Society’s Certified Bourbon Steward. 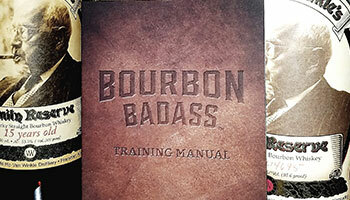 Classes will be offered quarterly where the Whisky Chicks will guide you through your journey to bourbon enlightenment. Each participant will receive a copy of the Certified Bourbon Steward Handbook that includes an online access code for your final exam. Upon completion you will receive a Stave & Thief Certified Bourbon Steward lapel pin so you can proudly show off your new found knowledge. Each year we will offer additional up training brushing up on your bourbon knowledge and introducing you to new trends in the industry. NOTE: Whisky Chicks are establishment members of the Stave & Thief Society and are able to extend this training and certification through the support of Moonshine University. You can expand your Bourbon education by attending their full day Executive Bourbon Steward program and becoming an individual member of the Stave & Thief Society which entitles you to an additional range of benefits. How does membership work? Is it an annual membership? It is an annual membership that is linked to the date of purchase of your membership. It will be automatically renewed each year with a notification being sent to the email we have on file. New membership cards will be issued each year. Why renew my Bourbon Boss or Bourbon Badass membership if I have already received my necklace and completed my Stave & Thief training? Each year we will add a new item of jewelry to the membership collection that will be part of the annual renewal package. For Whisky Dudes we will add a new item just for you. Upgrades in membership are welcomed. Because there is not an automated way of doing this, we ask that you contact us at [email protected] and we will personally walk you through the process so we can insure we get access to everything you need. I want to purchase a membership for a friend. How do I do that? To purchase a membership for someone else you will need to logout of your membership and begin a new transaction. We are looking at ways to create gift certificates for membership but it is not yet available.